Minister of Information, Mr. Lewis Browne, has linked the ever-failing fight against corruption to financial insecurity most public officials experience after retirement. Min. Browne told journalists in Monrovia over the weekend that the fight against corruption will never materialize if such financial insecurity is not addressed. “If people cannot look forward to retirement, it will be difficult to fight corruption,” Min. Brown told the nation while addressing a Ministry of Information, Culture and Tourism (MICAT) press briefing. His statement was based on the fact that the government has been applying efforts to eradicate corruption but the phenomena persist among the people within the private and the public sectors. Since 2006, the Liberian government under the stewardship of President Ellen Johnson Sirleaf has instituted several integrity institutions aimed at strengthening its system to prevent graft and embezzlement. Some of the recent integrity institutions established in the effort to curb corruption in the public sector were: the Liberia Anti-Corruption Commission (LACC), the Public Procurement and Concession Commission and the Governance Commission among others. However, the retirement programs in the country remain challenged with its capacity to adequately cater to individuals serving the government when they retired. There have been several occasions where prominent citizens who served government either resign or retire and easily slip into impoverished life from which they never recover. Minister Brown who serves the Executive Branch of government has not been the only one making reference to sluggish retirement programs as a factor of corruption in the country as Assigned Civil Judge Peter Gbeneweleh spoke of the same recently. 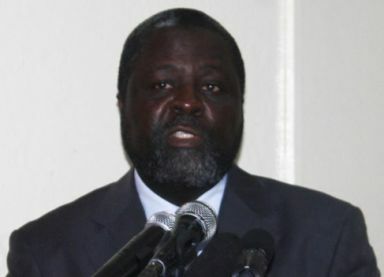 During the opening of the Civil Law Court for Montserrado, for it February 2014 term, Judge Gbeneweleh emphatically told the gathering at the court’s opening that it was regretful for judges who served the country and its people for many years to be retired without adequate retirement package. Such he said was resulting into poverty among the retired judges.